A brass Italian made bullet mould. 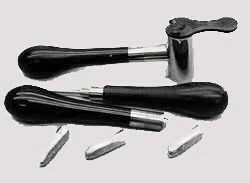 Whitworth bullet mould made in our own workshop - Three piece mould with ebony handles. New made all steel round ball mould Continental style, available in .400" cal. 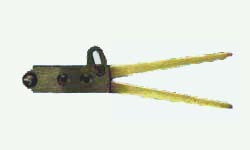 Overall length 8 cm.